Kenneth Igbomor is a seasoned financial journalist, business news anchor, and television producer. 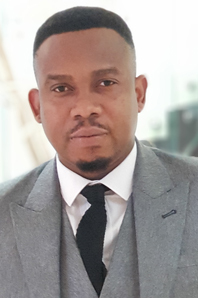 He is currently the Market news editor for CNBC Africa, where he heads the West Africa editorial team which produces daily business news content for the region. He is also a development economist who has had a stint as a financial planner in the insurance industry in Nigeria. He remains an unrepentant optimist about development outcomes in Africa. Kenneth has a Masters degree in Media and Communication from the Pan-Atlantic University. He is currently a judge for the Pan-African Re/Insurance Journalism awards (2018 & 2019) and the Thomson Reuters Excellence Awards for West Africa.